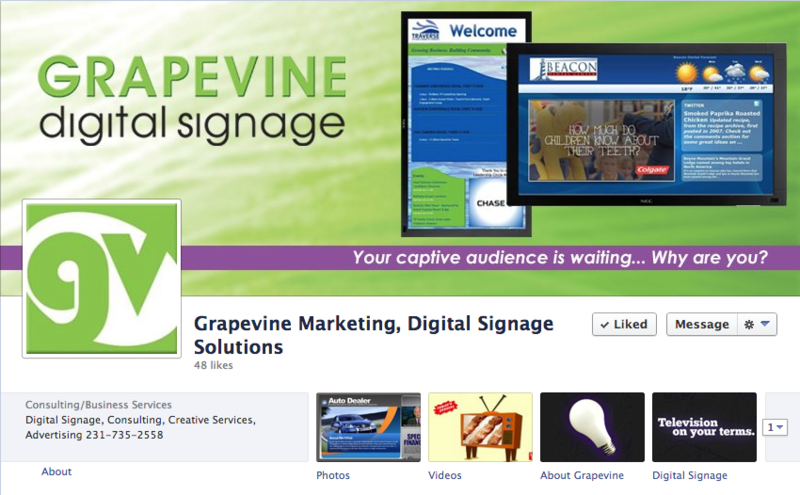 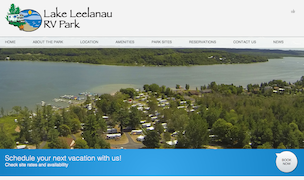 Grapevine Digital Signage is a Traverse City, Michigan based digital signage company. 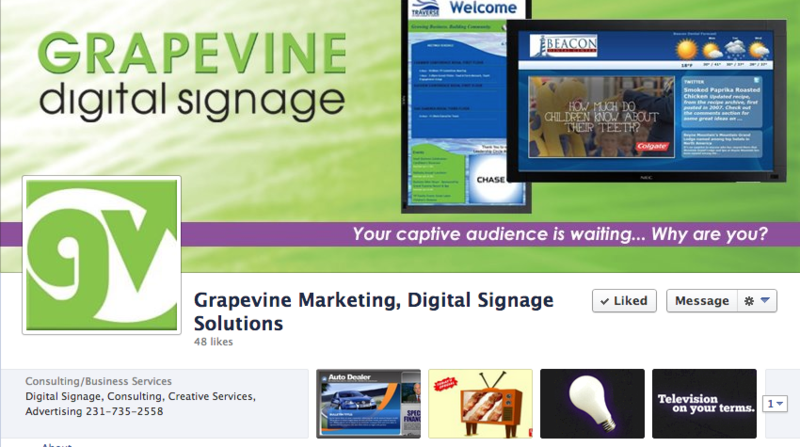 Grapevine specializes in digital signage solutions for dozens of markets including restaurants, health care, automotive, retail, and more. 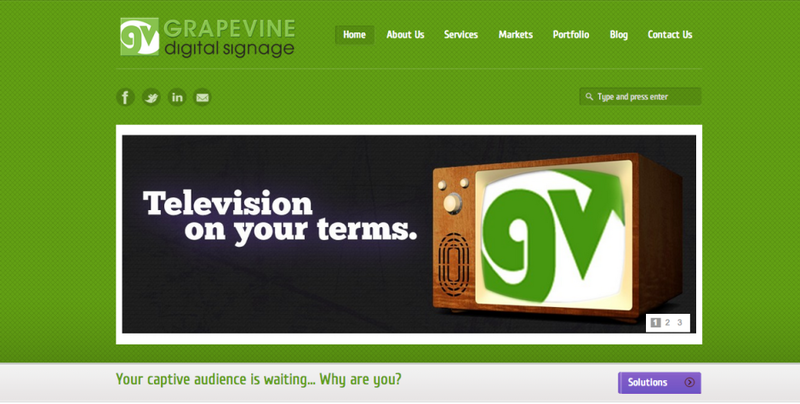 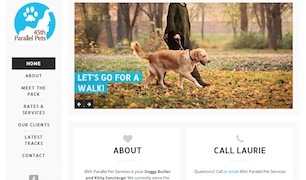 Grapevine was in need of a new website for their young brand when they called Social Vision Marketing. 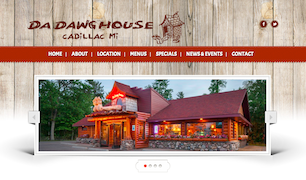 We designed and developed a new clean-lined website that clearly portrayed their unique digital signage services. 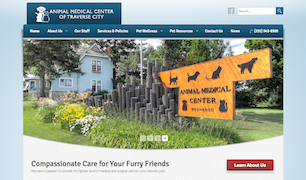 We also designed and enhanced their current Facebook and LinkedIn social media profiles for an overall streamlined branding.